← What Constitutes Physical Fitness? Perhaps you have heard the expression, “Breath is life,” or you have practiced mindful yogic breathing or taken a deep breath to calm yourself. At certain times, we are at least minimally aware of the amazing process we call breathing. Unlike the autonomic nervous system that controls and regulates the body’s internal environment without conscious intervention, breathing is the only function that can be performed consciously as well as unconsciously. 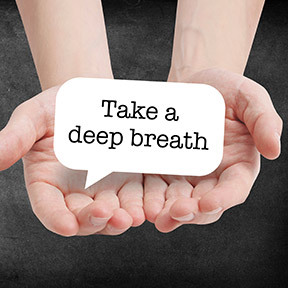 By learning to regulate our breath, we can develop a very effective relaxation technique to lower blood pressure, calm the heartbeat, improve digestion and disarm a stressful moment. Those with breathing difficulties, such as asthma, emphysema or chronic obstructive pulmonary disease (COPD), that block airflow and make normal breathing a struggle, certainly know the importance of healthy lung function. The respiratory system carries out an exchange of gases, breathing in oxygen and expelling carbon dioxide. It filters, warms and humidifies the air we take in and helps maintain homeostasis, aiding the balance of the body’s internal environment. Healthy people who get winded as they run up the stairs or attempt a short jog on an incline may need to improve their aerobic conditioning as well as their health habits. When the respiratory system is healthy it diligently works to filter out toxins, allergens and pollution with every breath, an average of 20,000 times each day! There are many reasons to work towards improving lung function and keeping the lungs in top shape. The fact that we can survive for weeks without food, and days without water, but only a few minutes without air is the most important reason of all. Because breathing happens naturally, it may surprise you to learn that over 50% of us breathe inefficiently. As opposed to breathing deeply into the lower lobes of the lungs, where the greatest amount of blood flow occurs, most of us commonly chest breathe, utilizing only the top lobes of the lungs, resulting in less blood oxygenation. Abdominal or diaphragmatic breathing utilizes the lower lobes, which are many times more effective at providing oxygen to the body, and stimulates the lymphatic system, helping to eliminate toxins and waste. By improving the flow of blood and lymph, diaphragmatic breathing results in a well oxygenated body, helps prevent infection of the lungs and tissues, and stimulates the relaxation response, resulting in less tension and an overall feeling of wellbeing. Fortunately, you can train the body to breathe from the abdomen, as proper breathing technique is beneficial for short and long term emotional and physical health. The more you practice, the more natural it will become. You can test yourself to see which type of breather you are by placing one hand on your chest and the other on your stomach or abdomen. Take several very slow deep breaths to see which part of the body rises. While there are several techniques for teaching abdominal breathing the simplest way to is to lie down in a comfortable relaxed position with your hands placed as above. Remain relaxed and inhale deeply and consciously through the nose and hold for a maximum count of 7 to bring air down into the lower lungs. If you can feel your diaphragm rise as opposed to your chest, you are doing it correctly. Slowly exhale through the mouth, breathing out as much air as possible. In general, exhalation should take twice as long as the inhalation. Keep in mind that respiration deepens not by inhaling but by expelling as much air as you can. With continued practice, diaphragmatic breathing becomes second nature. Avoid tobacco exposure including second hand smoke. Limit exposure to common allergens, including dust mites, pollen, mold and animal dander. Wash hands frequently, and refrain from touching your face. Follow a regular aerobic exercise routine to increase the capacity of the respiratory system. Stay hydrated, as lungs dilate to make up for water loss, weakening function. Spray your pillow case with essential oils of eucalyptus and peppermint to dilate the blood vessels, allow more oxygen into the lungs and break up congestion. Traditionally used for coughs, colds, bronchitis and flu, oregano oil has antiviral, antibacterial and anti-inflammatory properties. Try diffusing oregano essential oil to help clear lungs and bronchial passages. To support methylation processes be sure your multivitamin provides B12, B6 and folic acid. PureGenomics™ Multivitamin by Pure Encapsulations®: This once daily formula provides a comprehensive profile of highly bioavailable vitamins, fully chelated minerals and antioxidants. PureGenomics™ is formulated to address the nutrient requirements of common genetic variations in the methylation pathway. Gluten free, Non-GMO formulation. Oregano Eucalyptus Essential Oil by Dr. Mercola: This 100% pure aromatic oil is steamed distilled in small batches from fresh eucalyptus leaves and stems. It may be used topically when combined with a carrier oil or may be diffused to help open congested nasal passages and sinuses. Peppermint Oil Organic by Now Foods: This highly concentrated natural oil is steam distilled from peppermint leaves. It may be mixed with a carrier oil to be used topically, or try diffusing along with rosemary and cinnamon oils to invigorate and revitalize. Oregano Oil by Amazing Herbs: Sourced from wildcrafted Turkish Origanum Vulgare, this high quality essential oil is steam distilled. Purity guaranteed. Willow Forest Ultrasonic Essential Oil Diffuser by Greenair: This color changing ultrasonic ionic diffuser delivers the natural benefits of essential oils in a powerful efficient way. Covers 1000 square feet and runs for up to 6 hours. Automatic shutoff. Colors may be rotated or fixed. Simply add water and 5-10 drops of essential oil, replace the lid and turn on diffuser to mist aroma into your living space. This entry was posted in Home and tagged Breathing: An Introduction. https://www.drweil.com/health-wellness/body-mind-spirit/stress-anxiety/breathing-an-introduction/ Respiratory System: Facts, Oregano Eucalyptus Essential Oil by Dr. Mercola, Oregano Oil by Amazing Herbs, Peppermint Oil Organic by Now Foods, PureGenomics™ Multivitamin by Pure Encapsulations, Take a Deep Breath, Willow Forest Ultrasonic Essential Oil Diffuser by Greenair. Bookmark the permalink.